ATN NVGOPS15C0 PS15-CGT Night Vision Goggles FREE SHIPPING! 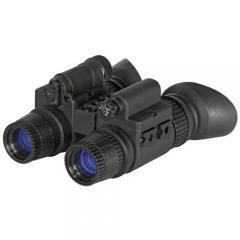 The PS15-CGT Night Vision Goggles from ATN are a highly versatile and easily transportable night vision system optimized for tactical and military applications. Featuring CGT generation technology and precision-cut lenses, the goggles offer low-light visibility needed to guarantee mission success. The multi-coated lenses and internal image intensifier work together, utilizing every ray of light to deliver the clearest picture possible. Designed for discreet use, a built-in infrared illuminator provides the lighting needed to read maps and building specs, or navigate dark terrains without projecting visible light that may give away positioning. Dual processing tubes enhance the goggles' depth perception, resulting in improved mobility in pitch black conditions. Digital controls and automatic brightness sensors allow for easy picture adjustment and ensure that users get the sharpest image possible regardless of external environmental conditions. ©2002-2019 CopsPlus.com: ATN NVGOPS15C0 PS15-CGT Night Vision Goggles FREE SHIPPING!